So You Know the Big Five Then? 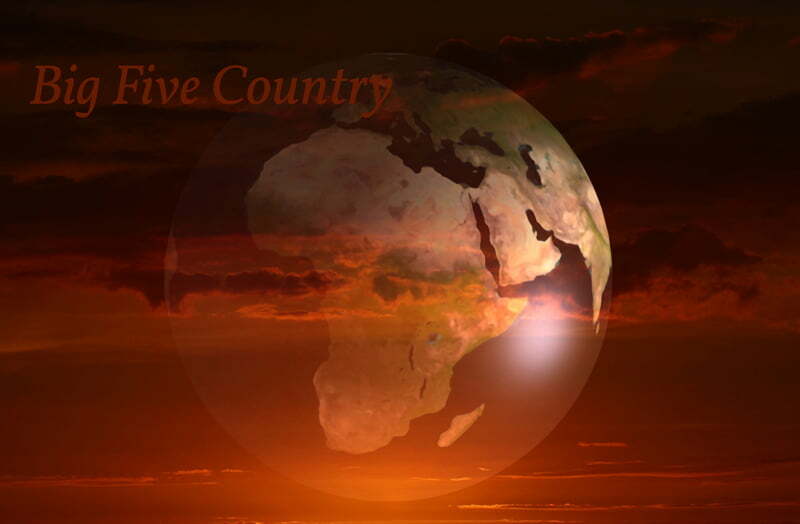 The term “Big Five” – see video below – was devised by the big-game hunters who plied their trade in Africa during the 19th and early 20th centuries. 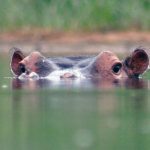 It refers to Africa’s five most difficult and dangerous animals to hunt on foot and consists of the lion, African elephant, Cape buffalo, leopard, and black rhinoceros. The name Big Five has stuck but not because of their size. These five species were the hardest to pursue and most menacing when trapped. Members of the big five are still sought-after trophies for hunters. Still, even the most dangerous and unpredictable animal was once a helpless baby. Here’s how these wild and unpredictable creatures started out. Powerful, lithe and possibly the most striking of all the big cats, the mysterious leopard is the strongest climber, dragging prey twice its size into trees in order to eat undisturbed by other predators. 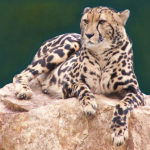 Male leopards can measure up to 80 cm high and weigh as much as 90 kg. The females are smaller with a maximum weight of 60 kg. 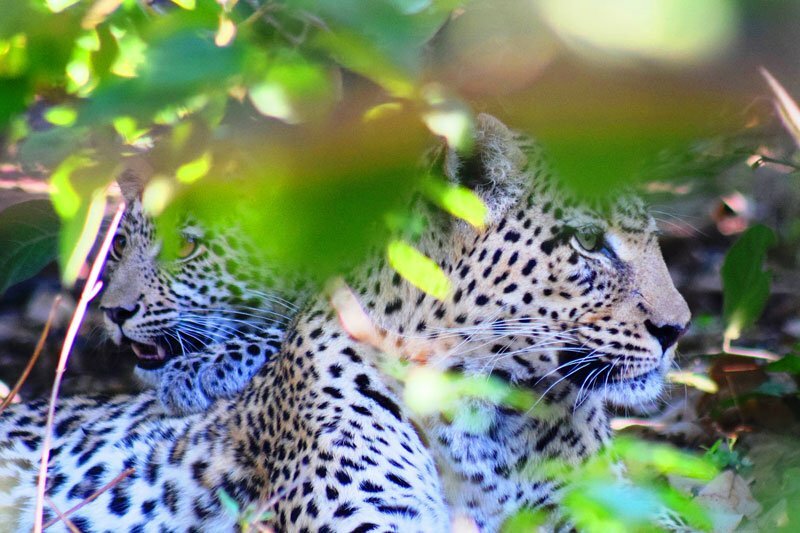 Leopard litters contain of two or three cubs, born after about 100 days. The mother will keep them hidden for the first 2 months. This makes images of very small cubs incredibly hard to get. Cubs are weaned at about three months and taken on their first hunts at about 4 months old. Did you know that leopards have unusually long whiskers and males have the longest? This is a useful feature for an animal who hunts in the darkness, allowing it to determine if a gap is big enough to fit through. The long stiff hairs growing around the mouth are called vibrissae, tactile organs of touch. But most of us would know them as plain, old whiskers; a feature the leopard shares with other mammals, including the domestic cat. Black rhinoceros are solitary creatures. The only strong bond is between a mother and her calf. Female black rhinos start reproducing after five to seven years, with a gestation period of 15 months. One calf is born, weighing 35–50 Kgs (80–110 lbs) at birth. This big baby is able to follow its mother around after only three days. 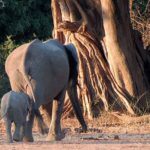 Weaning of the offspring starts at about two years of age, although the mother and calf will stay together until the next calf is born (in two to three years). With a reputation for being exceptionally aggressive, the black rhino will readily charge at supposed threats. 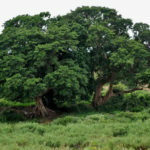 This can even include tree trunks and termite mounds. And black rhinos can fight each other to the death. They have the highest rates of mortal combat for any mammal with 50% of males and 30% of females dying from fight injuries. Did you know that a collective group of rhino is known as a “crash” of rhino? And did you know that a rhino can, despite its bulk, move at a speed of up to 40 kilometers an hour? Not bad for the second (white) and third (black) largest land mammals. 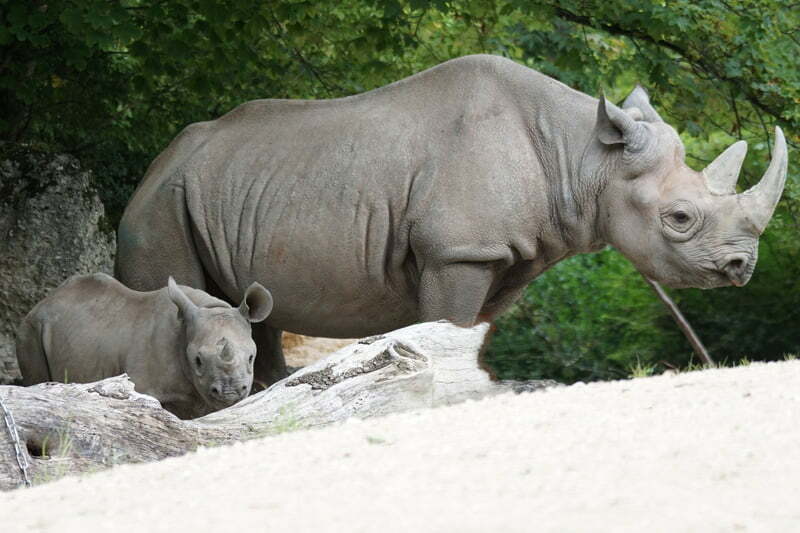 Although rhinos are called black and white respectively, both animals are an attractive and camouflaging grey color. The differences are that the white rhino is a square lipped grazer, eating grass while the smaller, black rhino is a browser with a hook-shaped lip allowing it to consume twigs and leaves. The white rhino is not included in the big five. Only the black rhino is one of the big five and in the Kruger Park, most are kept in special secret areas and guarded by rangers to protect them from poachers. The African buffalo is not an ancestor of domestic cattle. Its unpredictable nature makes it highly dangerous to humans, which is why the African buffalo has never been domesticated. 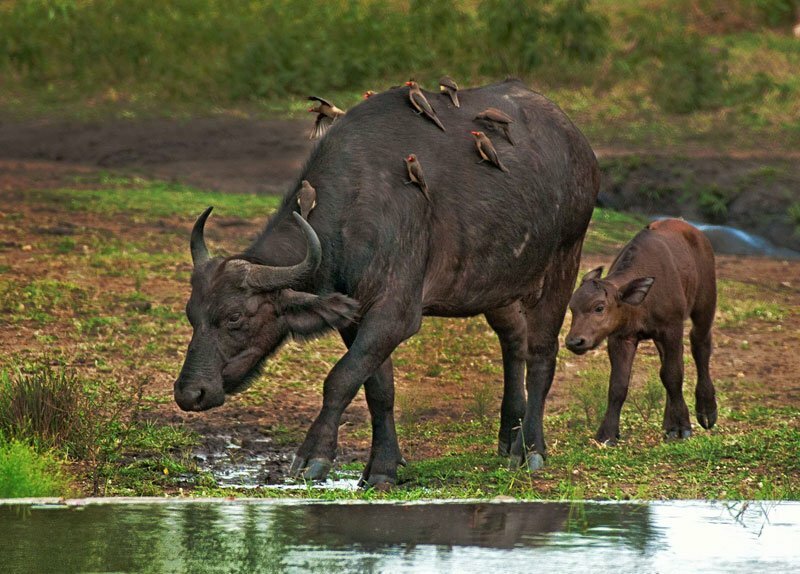 Buffalo herds stick close together with calves grouped in the middle, making it hard for predators to grab one member. They respond to the distress call of a captured individual and will try to rescue it, often successfully. Babies are born early in the rainy season, after a gestation period of 11.5 months. Did you know that Cape Buffalo have leaders called “pathfinders” to guide the herd? These front-runners are not specifically dominant animals, but elders; they only act as trailblazers when the herd is on the move. The sociable buffalo lives in vast, mixed herds; males, females, offspring all together in a herd that can number hundreds and thousands of individuals. Within this huge group, there will be sub-groups of related cows and their young. 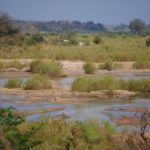 These groups will split up into satellite groups when resources are plentiful in the – rainy season – and each clan will have their own “pathfinders” or point men to lead the way. These smaller herds will come together again in one large herd when resources begin to dwindle and grazing becomes scarce. This coming together is the sign for the buffalo to move on to new and better grazing together. And here too “pathfinders” – elders – play the lead role, having learned the way to winter grazing from previous generations. Most lionesses give birth by the age of four, after a gestation period of about 110 days. The litter of one to four cubs is born in a secluded place, usually away from the pride. Although the cubs are born blind, their eyes open about a week after birth and they start to walk after three weeks. 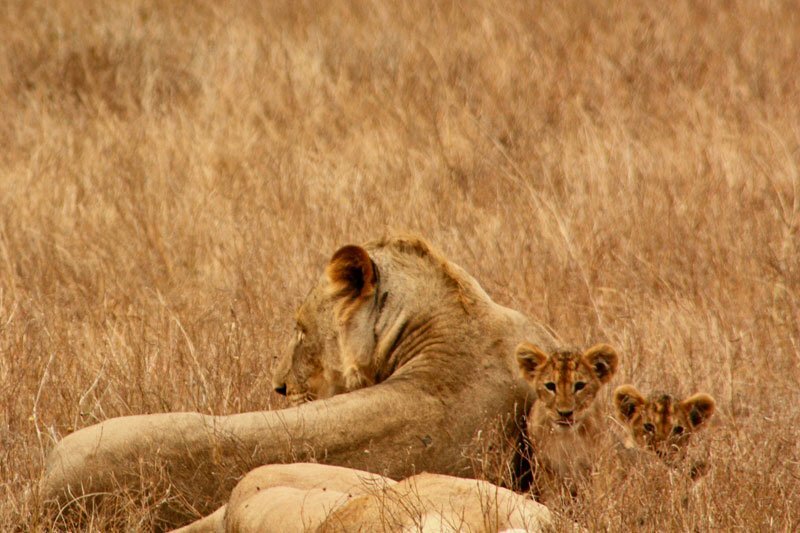 To avoid a buildup of scent attracting the attention of predators, the lioness moves her cubs to a new den site several times a month, carrying them one-by-one by the nape of the neck. At six to eight weeks, the mother will integrate the cubs back into the pride and she will start weaning them after six or seven months. Did you know that lions don’t just communicate with audible noise? Lions are able to signal displeasure using their ears, tails and eyes; apart from showing their teeth or growling! The black patches behind the ears and the black tip of a lion’s tail are “follow me” markers that are only visible from behind when hunting. 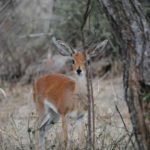 In both examples, the black patches can be clearly seen on the flattened ears. During a hunt, lions can silently signal to one another and the black tip of a female’s tail is a waving “flag” for her cubs to follow above the thick grass. African elephants start reproducing around 10 to 12 years of age. 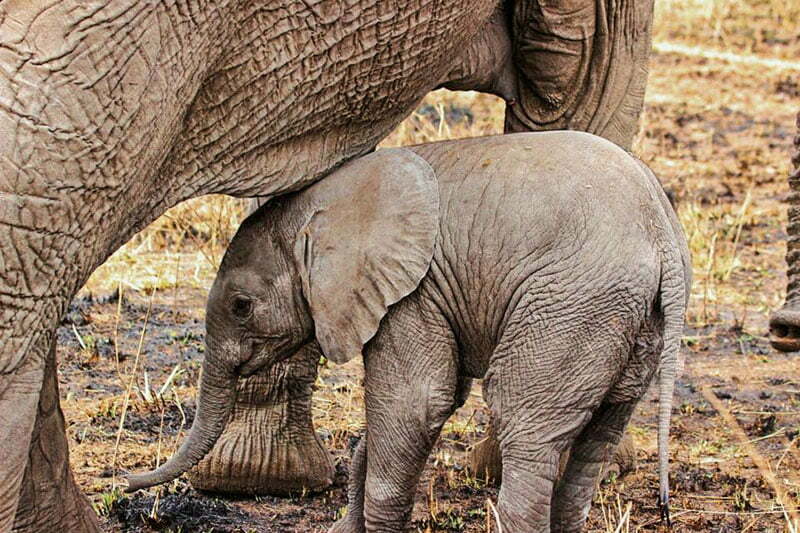 The gestation period for elephants lasts 22 months with fertile females giving birth every 3 to 6 years. A 50 year old matriarch may have as many as 7 offspring. The baby elephant (called a calf) weighs about 113 Kgs (250 lbs.) and stands just under a meter tall (3 ft.) when born. The baby knows its mother by touch, scent, and sound, although they can’t see well at first. Babies stay close to their mothers for the first few months, drinking up to 11 liters of milk (3 gals) each day. Weaning starts at around two years, although they continue to need milk for several years. In the beginning, calves find their trunks can get in the way, sometimes even stepping on them. But around 6 to 8 months, the calf begins to get control of this useful appendage with over 50 thousand muscles. By the end of the first year, it will be able to use the trunk to eat and drink. 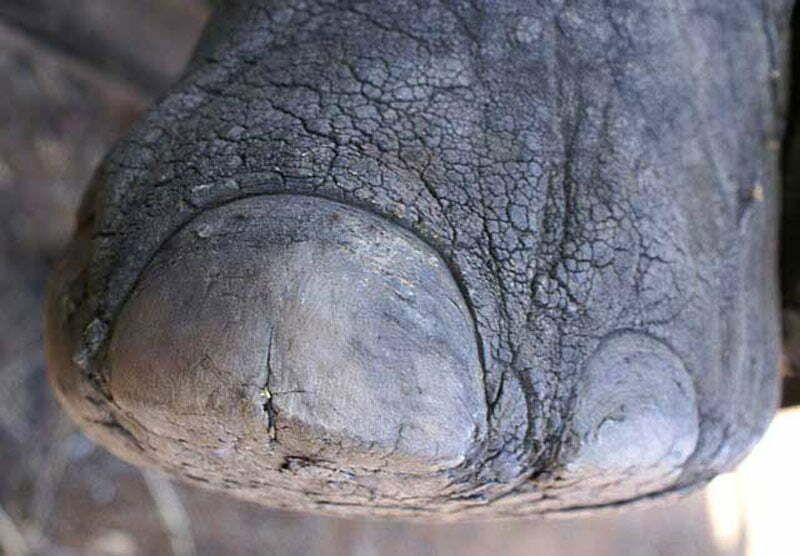 Did you know that elephants have toenails? And did you know they use their toenails to harvest their food? By holding a clump of grass taut with their trunk, an elephant will use their toenails to cut the grass off at the base, leaving the roots and ground behind to keep growing. They also make dust to dust themselves with, usually after bath time. This keeps the heat down on their skin and smothers ticks. Elephants also gather together mounds of short grass or fruit using their feet and scoop up the tasty piles with their very deft trunk. There is never a doubt, that a well made and narrated video says far more than one can write. Visuals, done well certainly beat the pen. And this video is a case in point. Not the best reproduction but definitely worth the time to watch.